J.W. 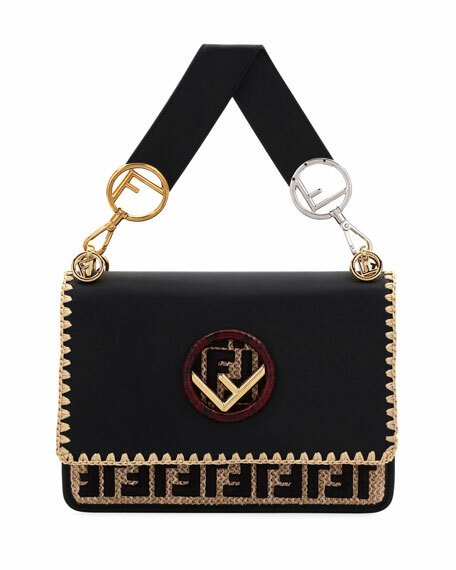 Anderson felt shoulder bag with golden hardware. Removable leather top handle, 7.9" drop. Flap top with logo ornament. Divided interior; leather lining; card slot. 5.5"H x 9.5"W x 4"D.
For in-store inquiries, use sku #2582979. 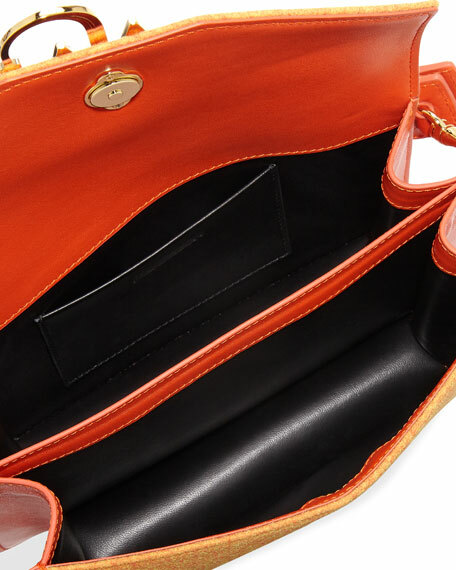 Danse Lente architecturally structured shoulder bag in colorblock calf leather. Coil hardware at top with adjustable knotted handle/strap. Flaps at front and back with round resin centers. Magnetic closures. Interior, one slip pocket. "Phoebe" is imported. 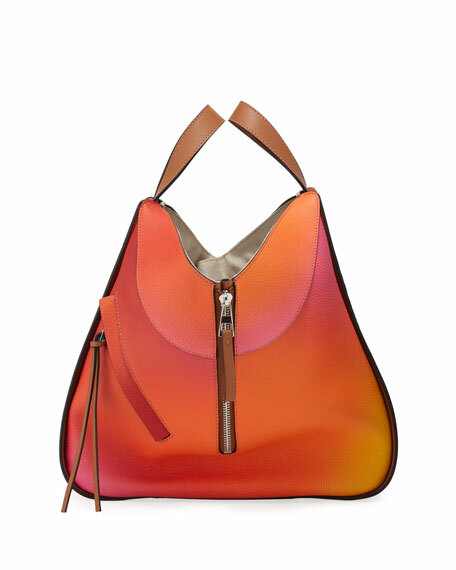 Loewe "Hammock" color-gradient leather bag with silvertone hardware. Removable, adjustable shoulder strap, 15" drop. Open top; vertical zips expand bag. Exterior, diagonal front zip pocket. Canvas lining, slip pockets, key clip. 11"H x 13"W x 6"D. Made in Spain.